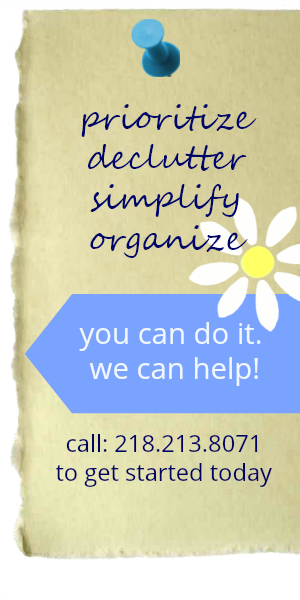 For personal organizing, we can help you prioritize, simplify and organize the spaces in your home. Through the decluttering process we stress keeping only those items that you love, use and need. Your home should be your retreat, your safe haven….a peaceful and relaxing space. For professional organizing we work with businesses to help organize their office space and filing systems so their business runs like a well-oiled machine. We help set up a filing template that is efficient and is catered to their specific business. Helping with closet and storage build out. We have teamed up with Port Millwork to provide options for creating a better closet and storage space! They use Virtual Reality to design your space. “Experience it before you own it”. And have Port Millwork design your kitchen remodel! Give the gift of ‘living simply’ to a friend or family member! Give a Gift Certificate in any amount you choose!